Pragati International is a Manufacturers and Exporters Leather Giveaways in Mumbai India. We Manufacture Wide Variety of Leather Giveaways. We are Manufacturers and exporters of Leather Giveaways from Mumbai to U.S.A., the European Union Countries, the Gulf States and Many Other Places. We are a Manufacturer, Supplier, Wholesaler & Exporter of Executive Briefcases, Leather Giveaways, Leather Gifts, Leather Corporate Gifts, Leather Bags, Leather Footwear, Leather Desk Accessories, Leather Belt, Leather Wallets etc. 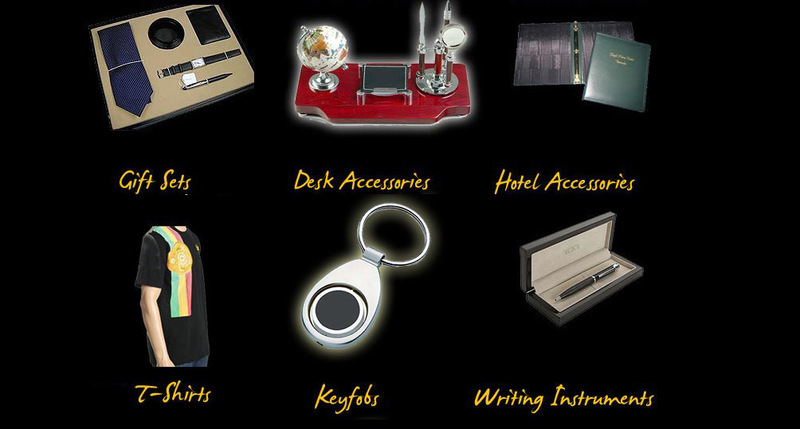 Our range is a perfect accessory, uniquely versatile and practical for our fashion conscious clients. These are available in different colors, textures, designs and sizes as per the preferences of our valued clients. This Leather Goods are Made for daily office use, these Giveaways are loaded with style and quality. We make sure that these are packed in quality packaging material to deliver the consignment safely to the client. 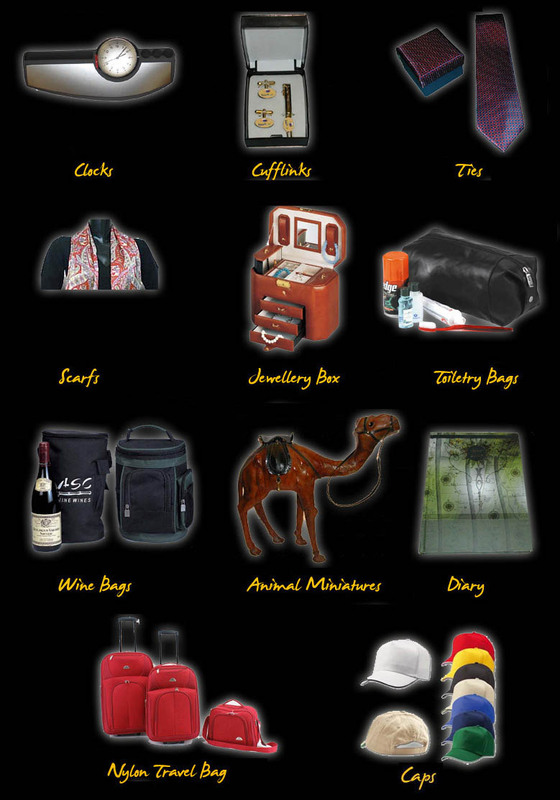 We also Manufacture Leather Travel Bags, Nylon Bags, Leather Hotel Accessories, T-Shirts, Ketfobs, Clocks, Cufflinks, Ties, Scarfs, Leather Jewellery Box, Leather Toiletry Bags, Leather Wine Bags, Leather Animal Miniatures, Diary and Caps. Leather Giveaways exporters, Giveaways in leather, Leather Giveaways manufacturer, Leather Giveaways, export customised Leather Giveaways, Leather Giveaways sellers, Leather Giveaways Supplier, india, INDIA, India, Mumbai, mumbai, MUMBAI.